If you are experiencing playback issues with videos in MS Windows you may need to install some additional software. This software, known as a codec, allows your computer to process different types of video file. 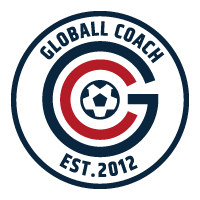 Before installing, please close your Globall Coach application. 2) If you are asked what you would like to do with the software, for example "Run", "Save" or "Cancel". choose "Run". Otherwise find the software, usually in your computer's downloads folder, and double click it to run. 3) Windows will ask you to confirm that you wish to install this app from an unknown publisher. Press "Yes". 4) On the next screen you will be asked to select "Normal" or "Advanced" installation mode. Select "Normal". 5) On the following screen choose your preferences - leave the settings as they are, unless you have any personal preferences for any of the items. 6) On the next screen, again leave the settings as they are unless you have any personal preferences. 7) On the next screen choose your installation language. 8) On the next screen choose your preferred audio configuration - again leave the settings as they are unless you have any personal preferences. 9) You will be then shown a summary of the options you have selected. Check the summary and then press "Install". 10) Wait for the installation program to finish, this may take a couple of minutes. 11) Press Finish to exit setup. 12) Restart Globall Coach and log back in. You should now be able to work with videos.